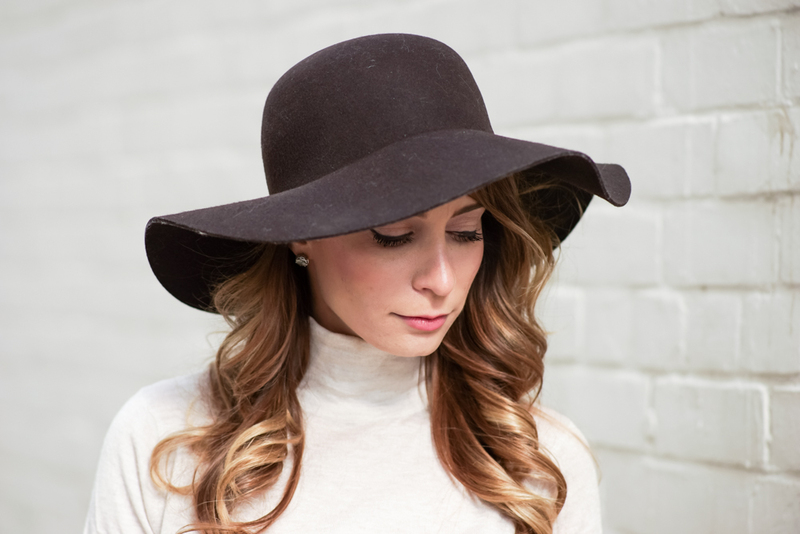 OOTD + My Fashion Week Survival Tips | La Petite Noob | A Toronto-Based Fashion and Lifestyle Blog. Another World Master Card Fashion Week has come to Toronto, and I've been loving every minute of it. The talent that comes from Canadian designers, the street style, the glitz and the glam; although totally overwhelming at times, it's not something to be missed! Although this is only my second time participating in Fashion Week and I'm certainly not a front row blogger [this gal is just happy to get a seat], I've learned a lot from the experience; the good, the bad and the ugly. Now that I've got these valuable lessons and tips under my belt, I feel totally ready to throw myself into the chaos the next time Fashion Week rolls around in Toronto. Here are a few of the lessons that I've learned from this season of Toronto's World MasterCard Fashion Week. Each and every show at fashion week will start on time, and will not allow for late comers to be admitted. Although it's tempting to get caught up in the chaos outside of the tents, make sure that you have already registered and have your ticket for a show in-hand at least half an hour before a show starts. Nothing is worse then having your excitement build for a particular designer or show only to miss it because you were a few minutes late to the doors. In an environment full of peacocks vying for the attention, it can be easy to lose perspective and want to over exaggerate your style for the sake of the event. If you're comfortable in an over-the-top outfit then that's amazing, but if you're like me and prefer a simpler approach to fashion then donning a costume of sorts will make you uncomfortable - which will inevitably bring down your evening. Stay true to yourself and wear what makes you the most confident; your inner confidence will shine through, make you more approachable and will help you have fun as well! This is something that I'm trying to get better at, but don't be afraid to introduce yourself and say hello when you see someone that you recognize. Fashion Week can be intimidating to many people (even if it doesn't seem like it) and most everyone can appreciate a friendly face. Fashion Week can be a great time to connect with different people all throughout the industry, and to put a face to the name for fellow bloggers. If the thought of initiating conversation with someone makes you nervous, here is what I always keep in mind: most everyone is just a smile and a chit chat away from being a new connection and friend. Oh my gosh you guys, I can't stress this enough - find the time to eat. Even if you're not doing all the shows, the chaos of rushing around from work, to home, to the tents can be enough to make you forget to eat - and this girl is always thinking about food, so that's saying something! Make a conscious effort to eat a proper meal, or at the very least a healthy alternative; your energy levels will thank you for it! Those are my tips on how I survived Toronto Fashion Week - plus some photos of what I wore to day one! Does your city have a Fashion Week? What are some tips that you have picked up along the way? Let me know! Love, love, love this post! I can relate to every single point. A good reminder of why this event is taking place. And you look amazing! Thanks Gabriella! Loved seeing you as always, and looking forward to attending more shows together next time! Love how you've incorporated those thigh-high boots into another outfit! Thanks Kris! I'm so into the thigh highs lately! Thanks Kaylee! We'll all have to go together next season! I love this casual chic outfit! I completely agree with you wear whatever makes you feel comfortable.